Damn Yak Dry Goods Co.: Waxed Canvas Panniers. After enjoying our last S24O, I have decided that I am going to invest in a new set of rear panniers. The panniers I have now are an old Cannondale pair. While they are functional, I have two issues with them. 1. The waterproofing coating really stinks, I am not sure what makes old waterproofing stink so much. Blah! 2. I just find that they are not big enough for my gear. I like to travel in cooler weather and that means some woolens, which tend to be a tad on the bulky side. They are really nice, I am totally digging the no buckle / piece of stick aspect, while some say fiddling with string might get difficult with gloves on, plastic buckles can break. I love the aspect of the typical "Duluth" style pack, but in pannier form. My only concern is they do not post measurements for the panniers, I have sent a email to inquire. A Slick looking set of panniers made by a two person operation in Seattle. I love the side pockets and the cut aways for extra heel room. Also really digging the extra external pockets, for quick access to things, and the water bottle pockets is a nice touch. Again a small cottage brand, with tons of care put into the construction. Again I like the front pocket of these, and the roll top design really seals out water, although it does seal it in as well. These I find look more military than the others, but I still really like them. 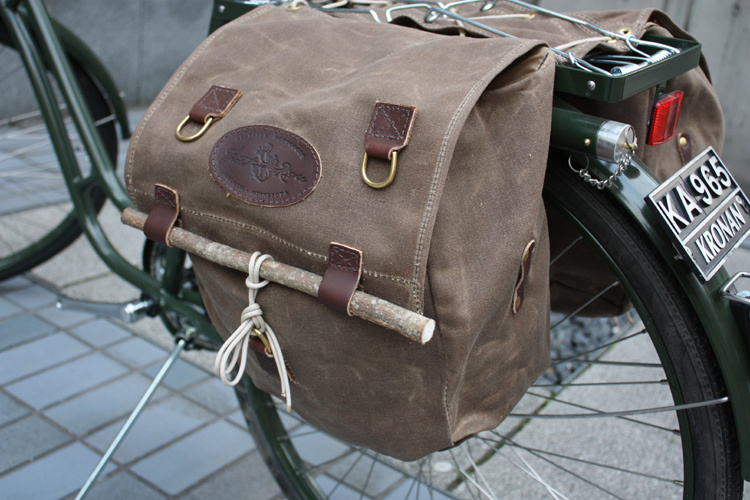 I have a piece of army kit that looks almost exactly like the front pocket of these panniers. Carsick also makes a set without the pocket in a nice chocolate brown that are also a option? I know Canada has Arkel Panniers which are top notch, but I am not a huge fan of their design and color choices. What are your options? which of these do you like? Any other recommendations? As frequent visitors to your blog, we are flattered that you included us (Carsick Designs) on your list. We will be stocking our store with a batch of new bags in the next couple of weeks. 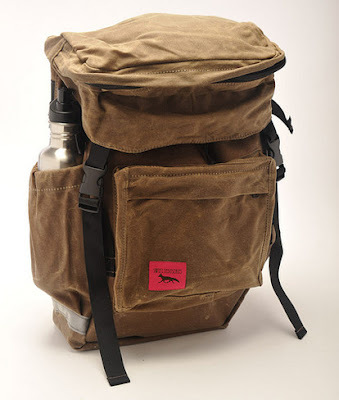 You may want to check out Laplander Bags also, they do some beautiful work. Hey Guys, Thanks for the comment! Now Brian your last name is Laplander is it not? Are these your side project? Are you making any more with the side pocket? Yes my last name is Laplander, no relation to Laplander Bags, just a coincidence. We are in process of making several sets with side pockets in a variety of colors. Wow Small world! Looking forward to seeing some Pictures!